…but of the beautiful kind! 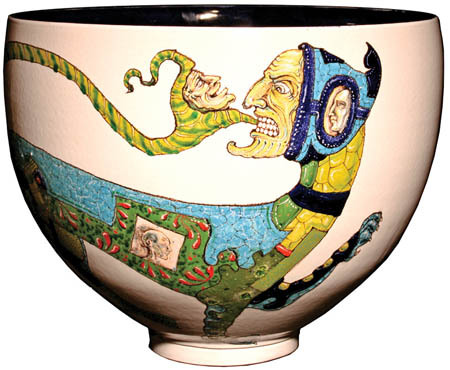 Did you know that the “Green Rooster of Orvieto”, created in the 13th-century, is one of the oldest Majolica ceramics (Italian tin-glazed pottery) dinnerware designs in Italy? Some of my favorite local pottery-masters include L’arpia Ceramiche, Ceramiche Fusari and Ceramiche Giacomini. Oh, I haven’t forgotten famed artist Marino Moretti. 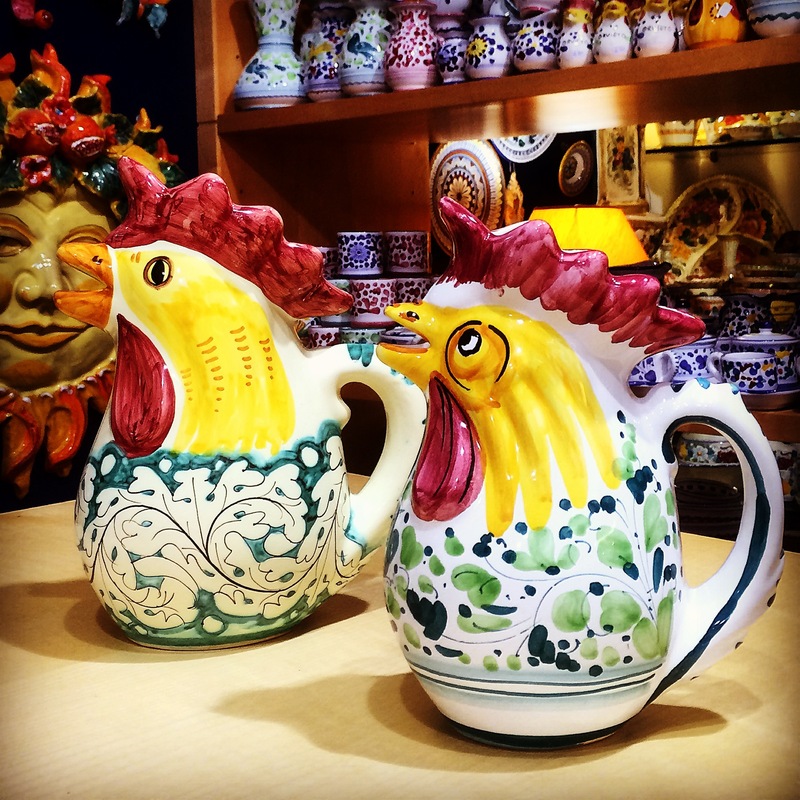 On the lighter side – La Brocca di Gallo is the wine/water pitcher everyone needs for their table! Read more about the rooster pitcher here.